Drop in the bottom of the shower near your feet under direct water away from the drain and breathe! Top 10 Benefits of Manual Lymphatic Massage! Stimulates your circulation enabling your immune system! Decongests your lympatic system. A congested lympatic system (due to surgery, illness, injury, et cetera), can cause soreness, puffiness, allergies, headaches, low energy, increased susceptibility to infection, aches, pains, and flu-like symptoms. Reduction in edema (an abnormal accumulation of fluid beneath the skin or in one or more cavities of the body that produces swelling.) Clearing areas of congestion such as swollen ankles, puffy eyes and swollen legs. Treatment of lymphedema and other conditions arising from venous insufficiency. Relief of chronic fatigue and fibromyalgia, some forms of constipation and insomnia. Swelling relief following plastic surgery, promotion of scar tissue healing, torn ligaments and sprains. The lymphatic system (lymph vessels, lymph nodes, and organs) has a vital role in the body by regulating the immune system, which protects the body against infection. 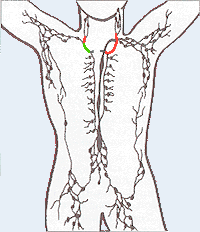 Part of the body’s defense system, the lymph nodes remove microorganisms and other foreign substances. They act as a filtration system that keeps particulate matter, such as bacteria, from entering the bloodstream. It transports nutrients to cells and eliminates metabolic wastes, toxins and excess fluids from the body. Stimulating the lymphatic system through manual lymphatic drainage will activate all of the above functions as well as encourage fluid circulation and cell regeneration. Both actions promote detoxification, facilitate healing and support the immune system. . Manual lymphatic drainage is also a very effective way of detoxing the body plus stimulating vital immune defenses. This is a powerful, deep cleansing treatment! A Simple Guide To Belly Breathing! via A Simple Guide To Belly Breathing:. Go ahead take a breathe and relax! The next time you go to get a facial or a massage ask for a facial massage to be added to your treatment if it is not already included. Many people don’t think to ask for this service or they receive a shortened version when they receive a facial. Ask for a full facial massage which typically lasts 15-20 minutes it feels wonderful and you will look wonderful as well. 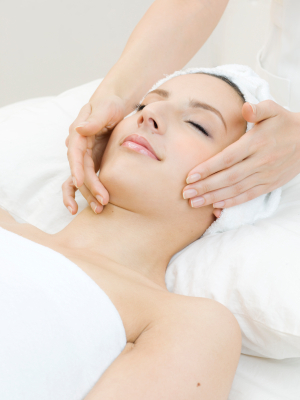 Make sure that the Esthetician or Masseuse is gentle to the skin on your face not pulling and stretching it.